It is important for patients to understand what is going on behind the lens and see what we are seeing inside their eyes. A variation of eye issues can develop without prior detection or noticeable symptoms. Macular degeneration, glaucoma, retinal tears or detachments, central retinal vein or artery occlusion, and other eye health problems are able to be detected by retinal examination through a digital retinal camera. 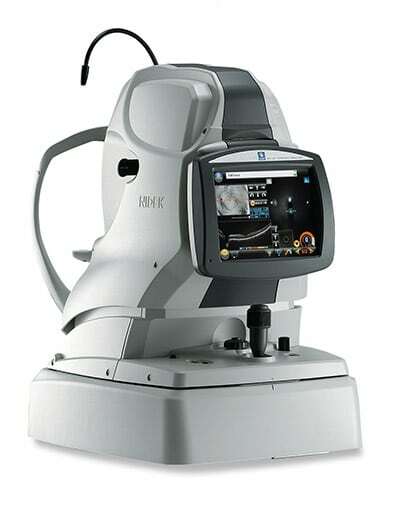 This digital retinal imagining utilizes a Canon digital camera, to take pictures of the retina. It takes high quality pictures of the inside of the eye and makes diagnosis of a wide range of eye health conditions easier. Finding retinal diseases early on helps prevent possible worsening of the condition and halts the progression of vision loss. Our doctors are able to detect and manage diseases such as glaucoma, diabetic retinopathy and macular degeneration. With such high quality imagery not only are we able to thoroughly understand the condition of your eye, but we are also able to educate you on your own health and wellness. 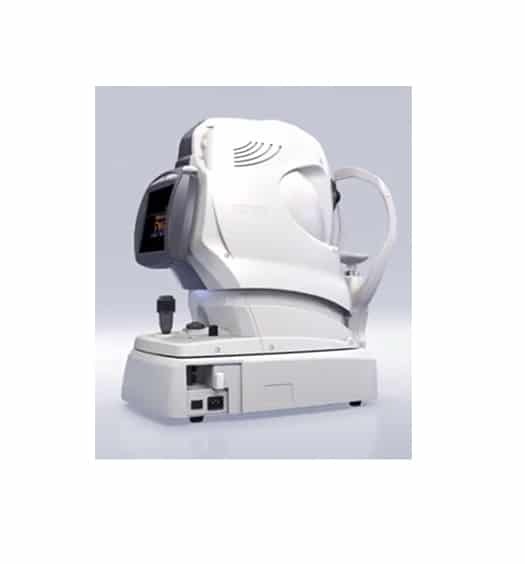 This device performs a scan to detect the onset of a disease or to confirm if eyes are healthy. The digital camera produces the images within a few seconds, providing an overview of the retina. This gives our doctors a more detailed outlook than he would be able to through other means. It also gives patients and our doctors the opportunity to go over the images and discuss the results after the examination. The advantage of digital photos is the ability to have a record of the current state of the eye and later have something to compare it to, if changes over time do develop. If there is an issue detected upon examination, the photos can help determine if aggressive treatments are needed or not. It is highly recommended that all patients take this test, especially those with high blood pressure, diabetes, retinal diseases, or eye related issues in their background.